Achieve true freedom with the ResMed AirFit™ P30i nasal pillows mask. Its top-of-head tube design stays out of the way so you can sleep comfortably however you want, including on your side. 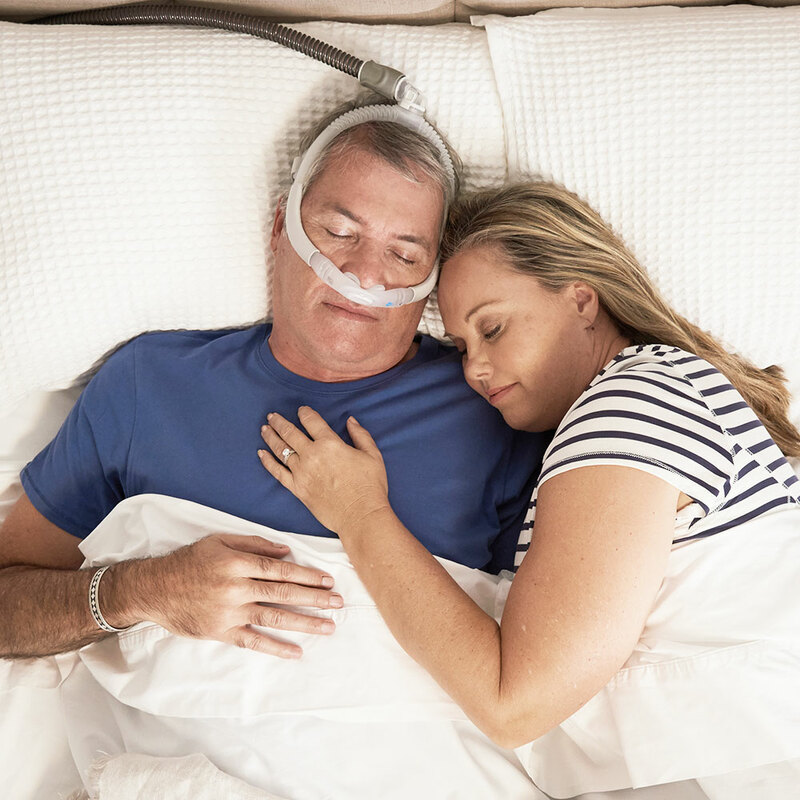 And the ResMed QuietAir™ vent technology makes it 80%* quieter than the market-leading gel pillows mask so you can get closer to your bed partner. Small, Medium, and Large nasal pillow cushions included. Click here for nasal pillow sizing guide. The innovative AirFit P30i features a top-of-the-head tube design that gives you the freedom to sleep in any position. With no front-end tube, the mask stays out of sight and out of the way, allowing you to sleep more freely and closer to your bed partner. 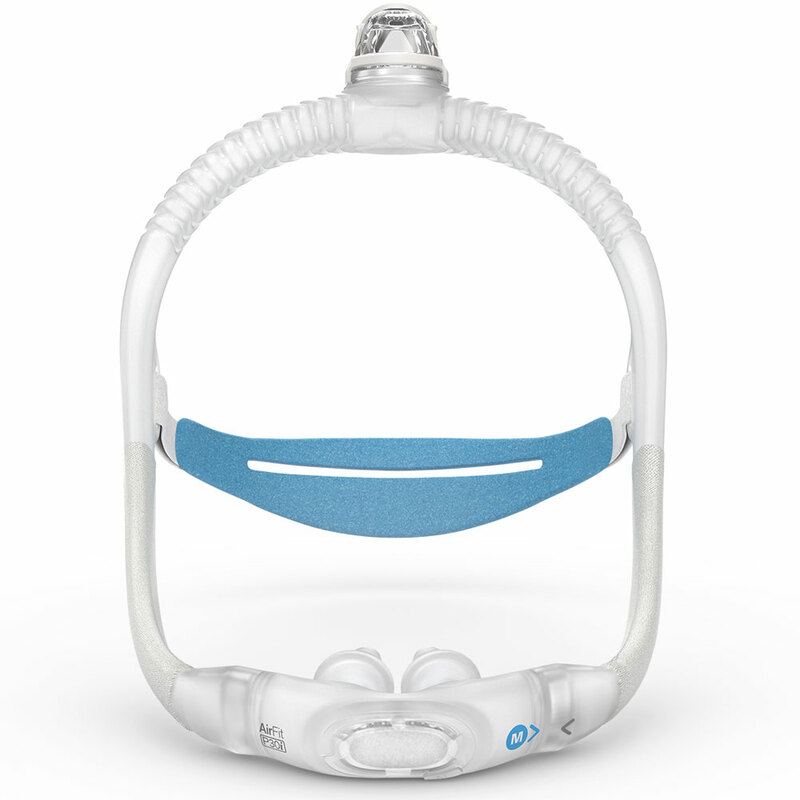 The AirFit P30i frame features QuietAir™ woven-mesh vents, making it 80% quieter than the market-leading gel pillows mask. This technology quietly directs and diffuses exhaled air in multiple directions away from the user and bed partner. Designed with the user in mind, the SpringFit frame is an innovative design that adapts for an all-around stable, personalized fit. The mask is specially designed to slide quickly on and off to make your bedtime routine easier. 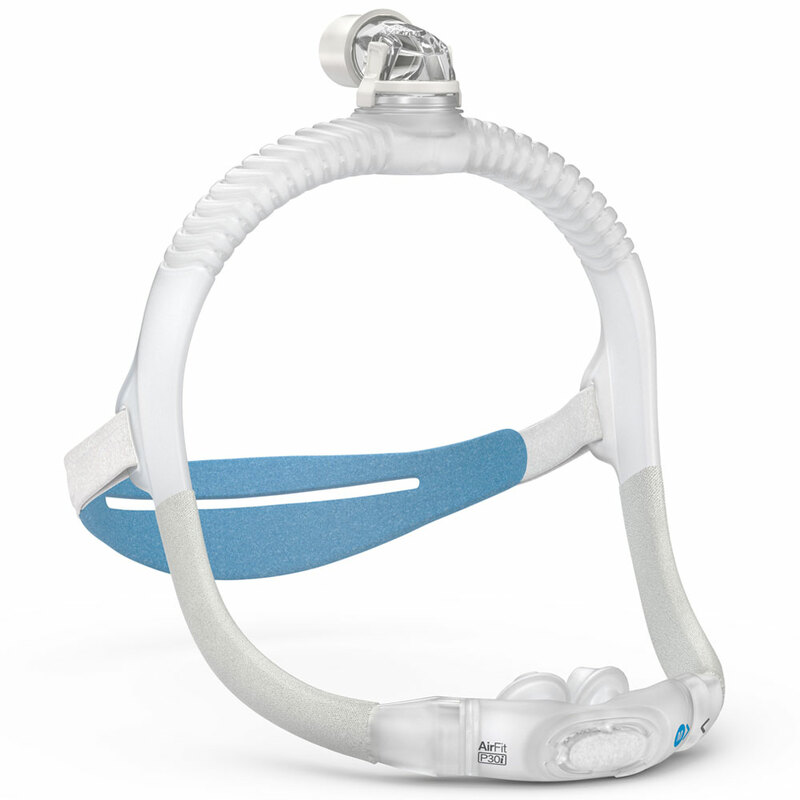 The quick-release elbow makes it easy to disconnect the mask and tubing if you need to get up at night. Minimalist design leaves your face clear so you can wear glasses to read or watch TV. Designed to be as comfortable and unobtrusive as possible, the P30i pillows cushion also makes it easy to sleep on your side. *This mask is only effective when used in conjunction with a CPAP or BiLevel machine.